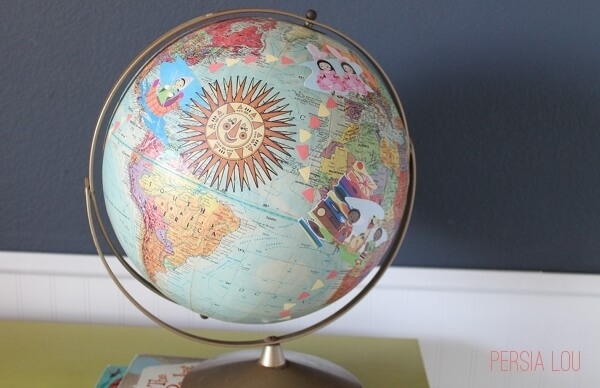 Remember when we were a kid how we used to spin that globe rather than trying to learn more about geography? Yeah, the one which had given us a lot of places to dream about and visit them one day. 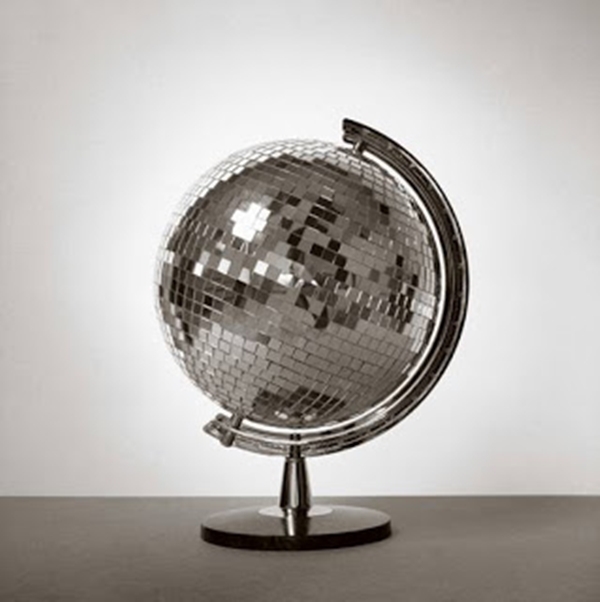 This globe was the way we used to see the world earlier but in this modern age, we have got the world on the click of our fingers. 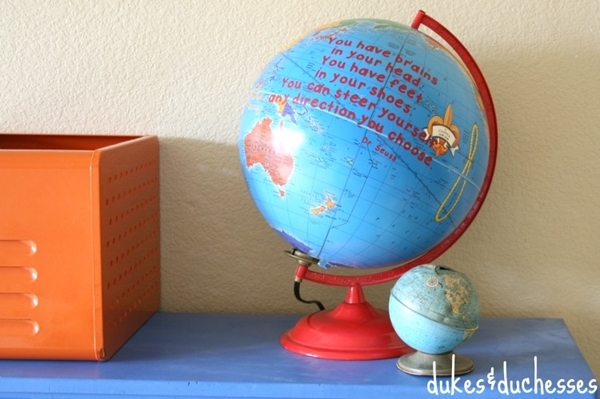 Long gone are the globes that used to stand on our tables, reminding us of school homework. Today the tablets and phone do the job for it. 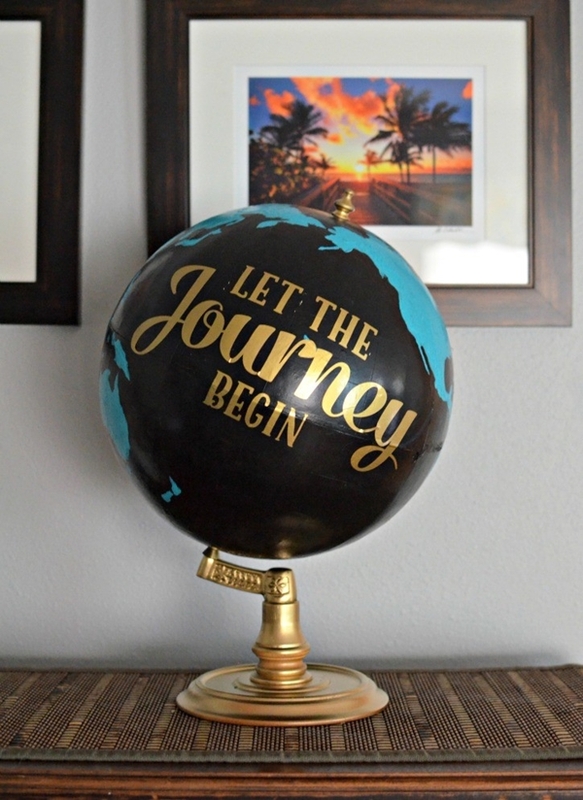 So like every other person, you must be also thinking about getting rid of that globe eating dust and space, right? 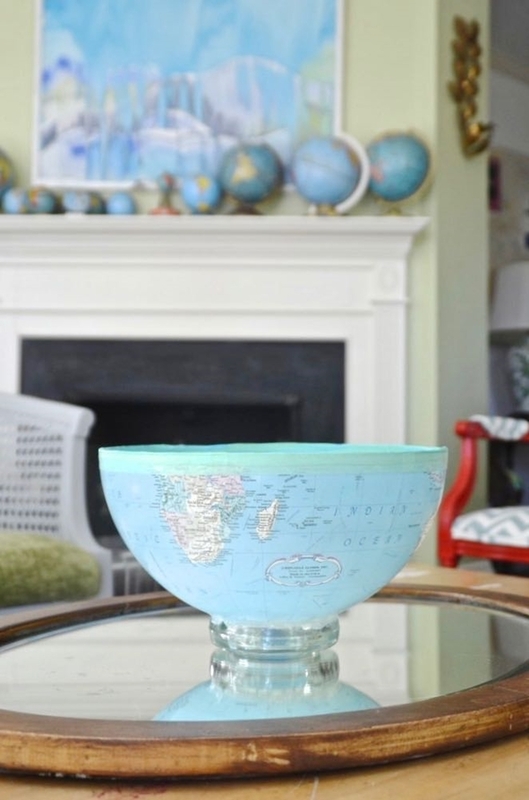 Well, then you need to see these Useful Globe Art Projects to Restore Old Globes before you just throw them away. 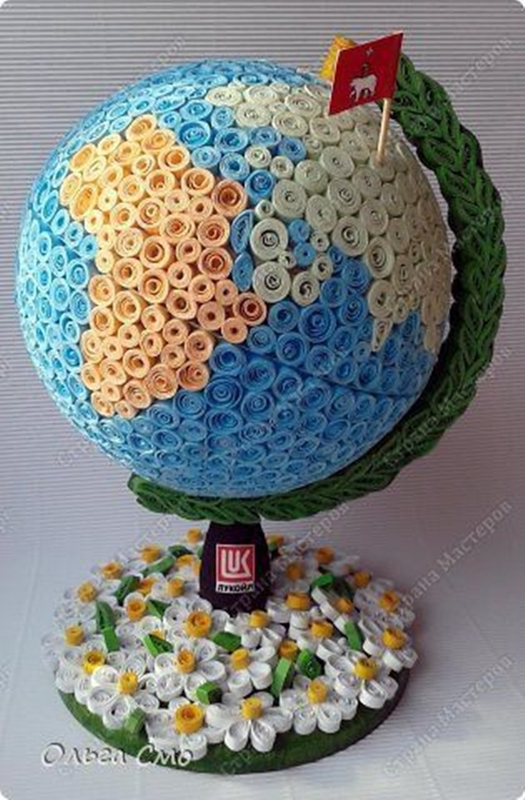 You’d be also amazed by what can you do with that toilet paper roll that you’re about to throw away. 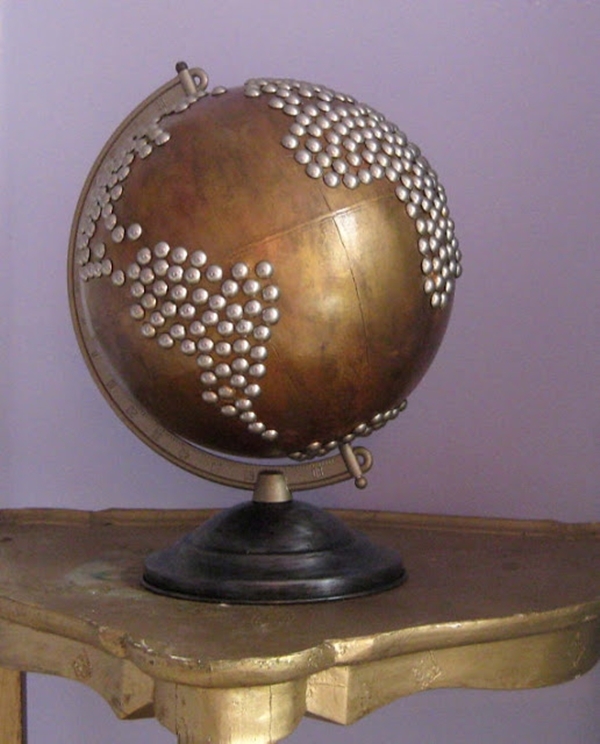 Talking about the globe? 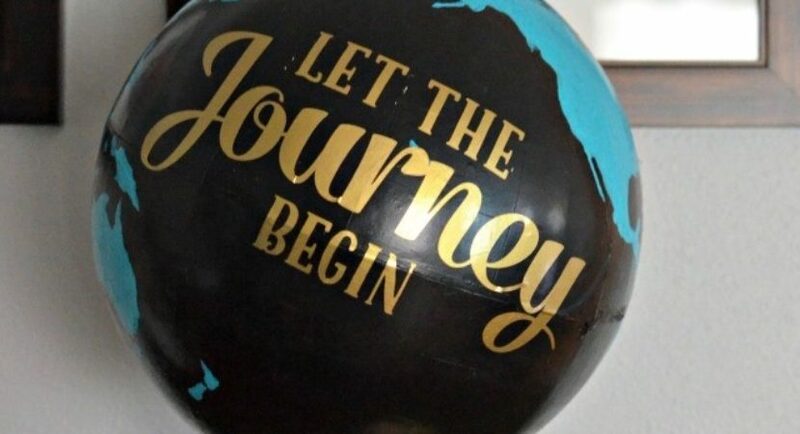 Then let’s add wanderlust in this conversation! 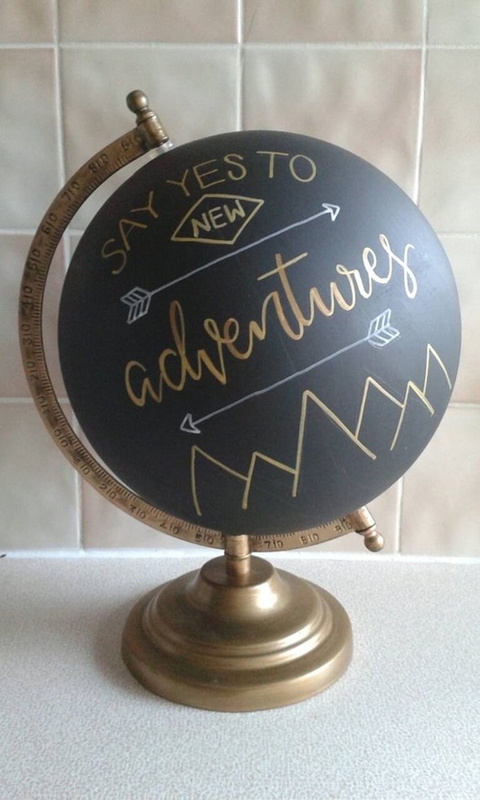 Gotta get rid of your globe but haven’t got much time to do something with it other than just throw it away then wait right there! 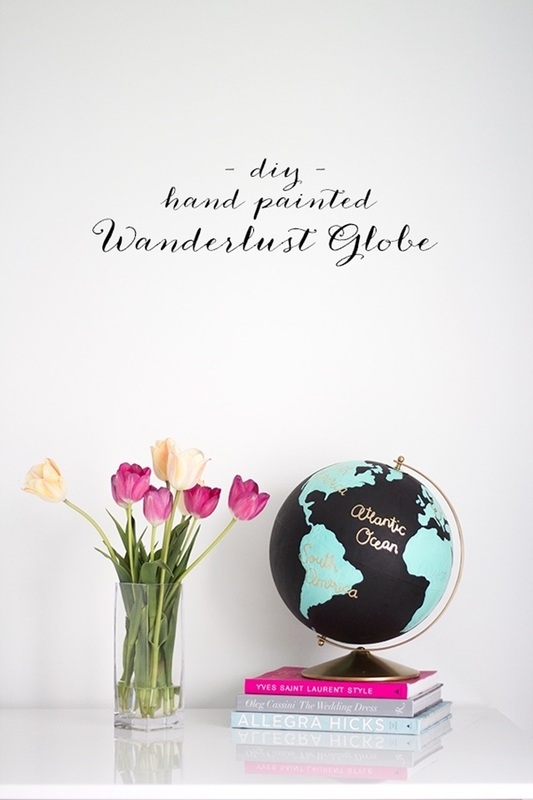 All you need is paint, pen and of course the globe you’re trying to get away from and you would get a lovely wanderlust globe in your hands. 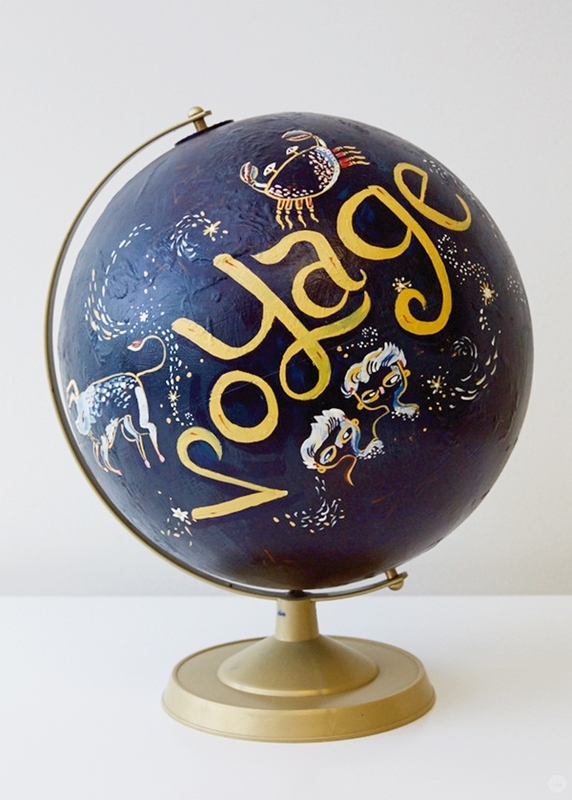 Get your hands a little more dirty and check these lovely pottery painting ideas. No, I’m not kidding! 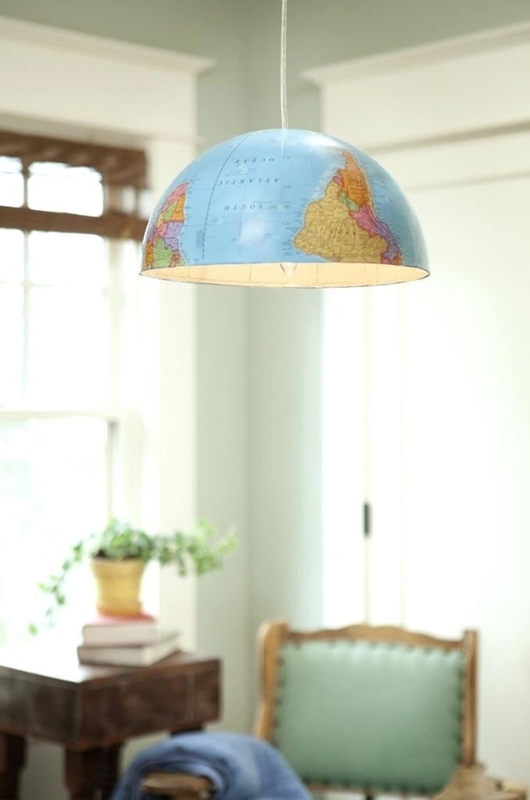 That’s really a globe turned into a lampshade and I gotta admit, the idea is totally knock-off. Don’t worry, it’s not that difficult to make. 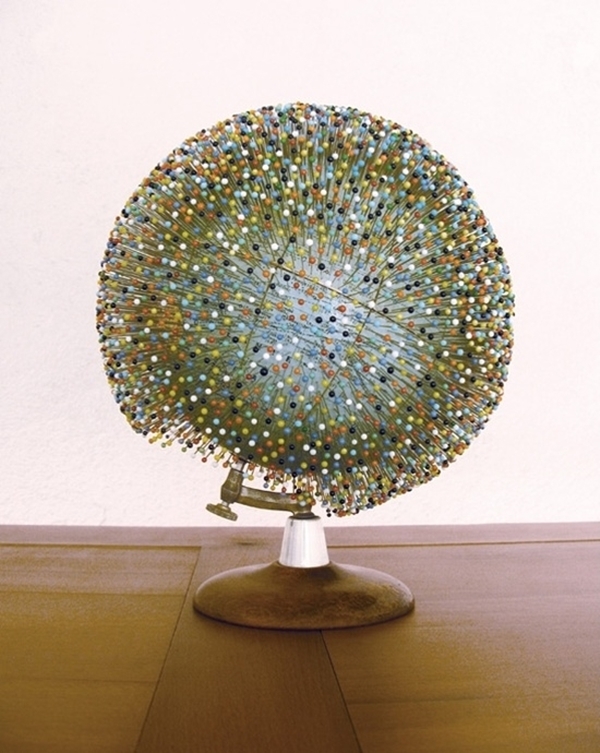 You gotta cut it, do some fiddling with wires, bulbs and screwdrivers and you’d manage just fine. 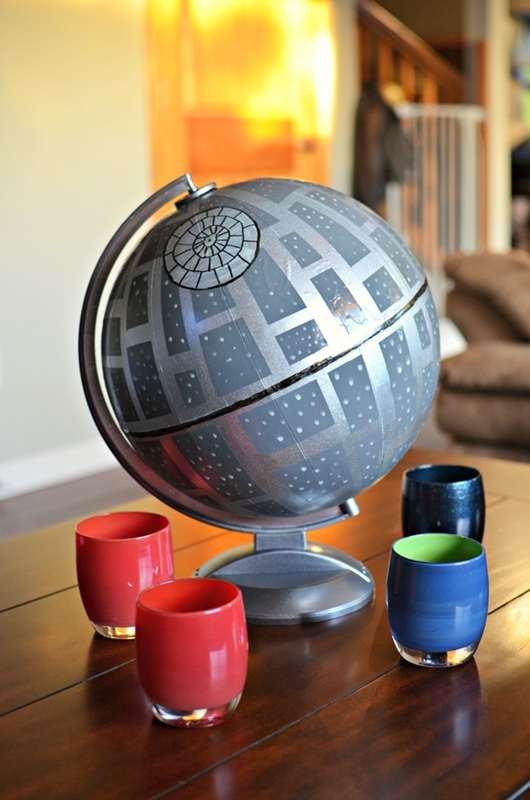 As you can see, you gotta cut that globe in half. Do you know what means? It means you get two knock-off lampshades! 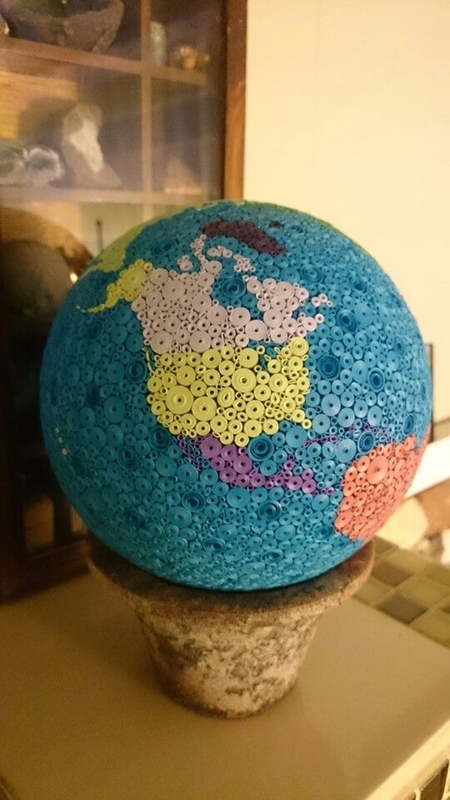 How about doing some clay work? Intrigued? Then have a look here. 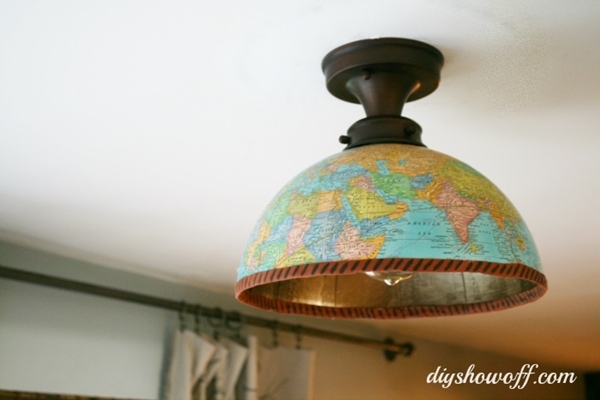 Hey, if you need just one lampshade then don’t be in a haste to throw away the other half of the globe. 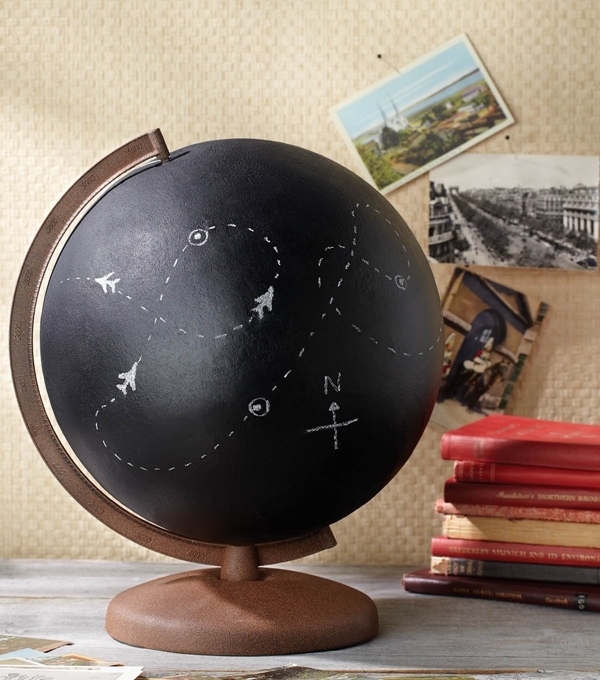 Just fix in a drawer pull on the top of the globe and you’d get a cool globe cloche. Oh, and it will keep those nasty bugs away from your food. Total win-win! 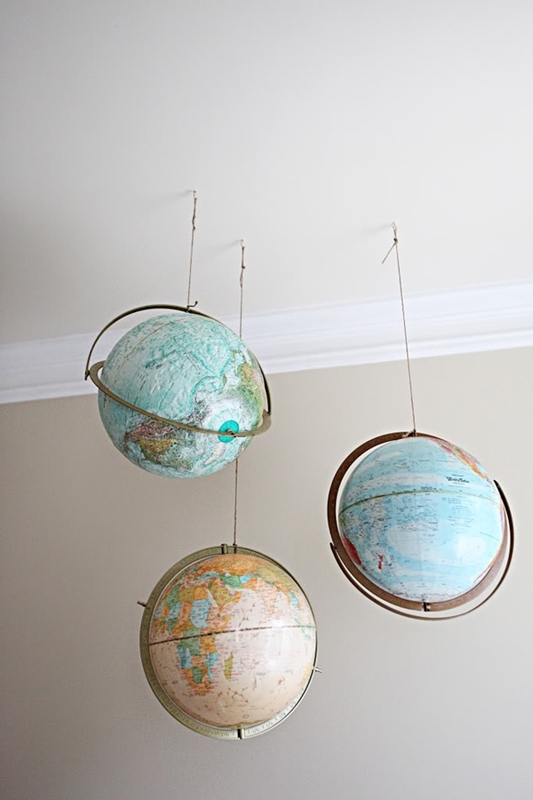 Just like these globes, make sure you reuse that old cardboard boxes as well. I know the winter is almost here but who doesn’t love spring! 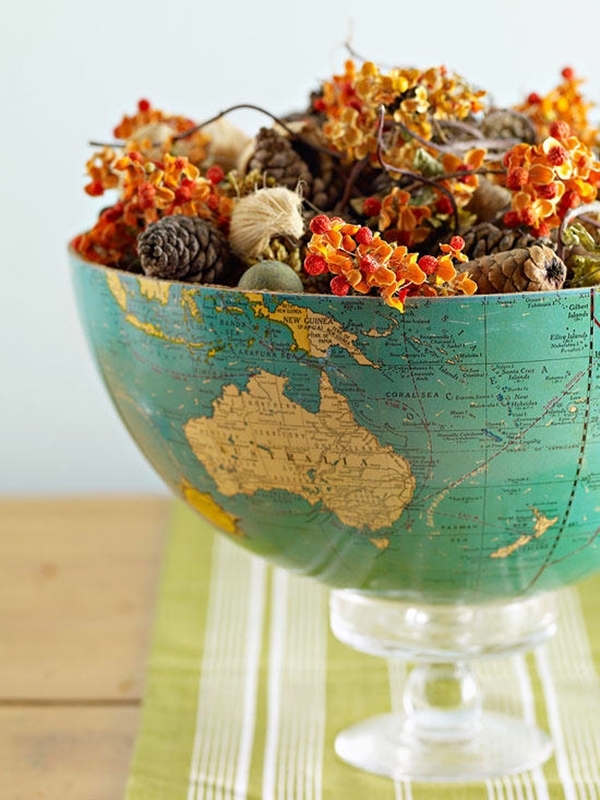 With just some faux flowers and a moss tape, you’d be surprised what you could do. 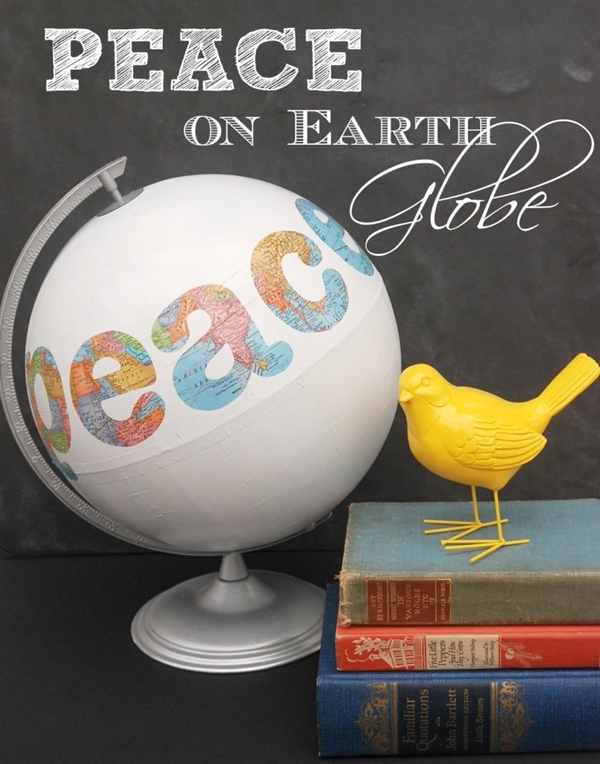 Well, for instance, take this spring globe. 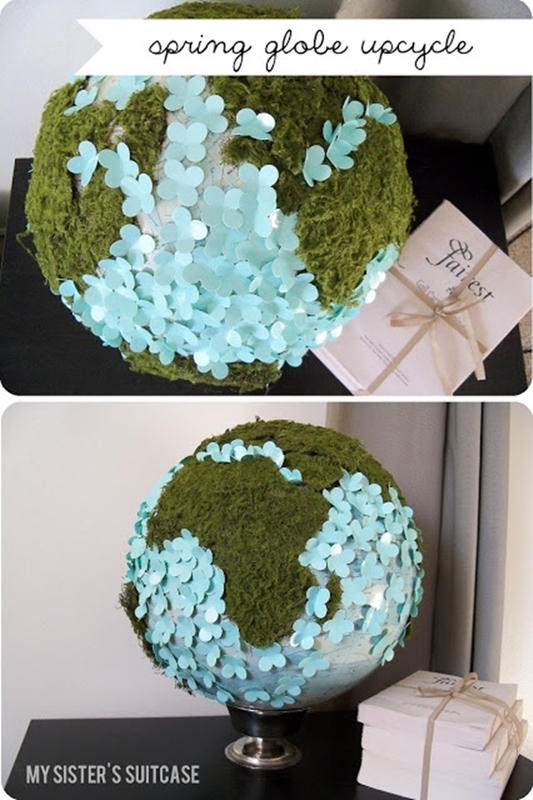 It’s easy to make, looks lovely to eyes and you get to choose what colour of flowers your globe must bear! 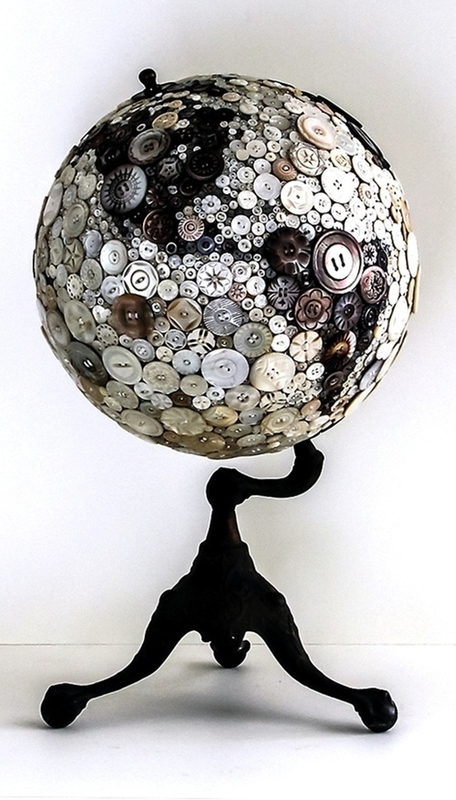 Make some use of those old tires too, that are lying around in your garage. 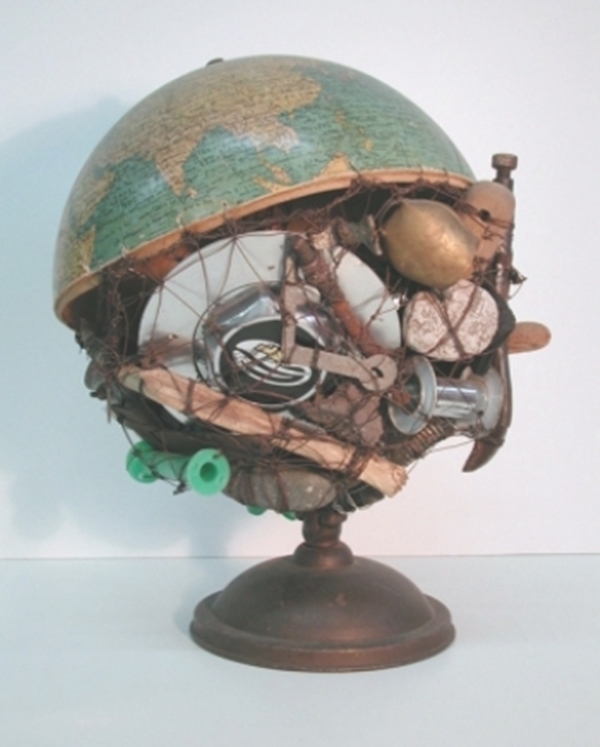 Seen enough of that old globe and the dusty countries’ name on it? Let’s make a new world full of music. 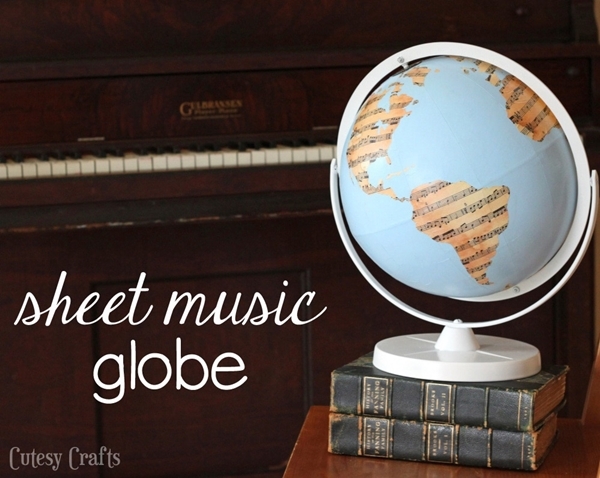 This sheet music globe will take some time but as you could see, it’s worth it. 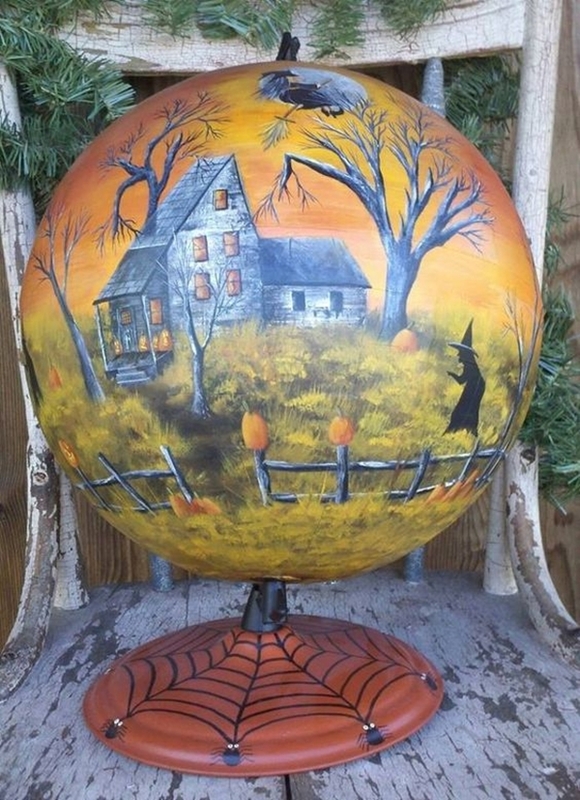 Some paint here and some musical notes there and you’ve got a perfect décor item to place on your piano. The same story again but a totally different outcome! 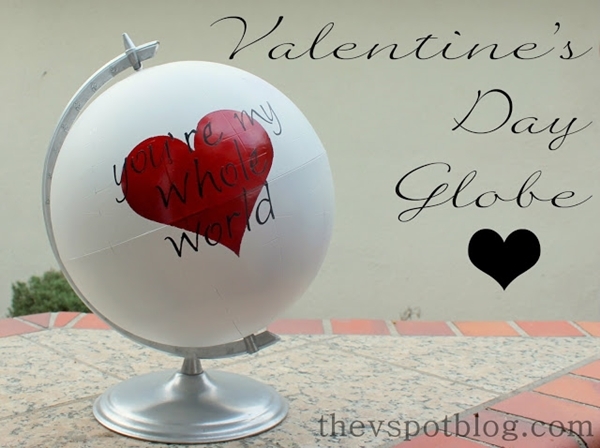 Cut the globe in half, do some work (because, hey, you gotta work to save some pennies and get something great, all at once!) 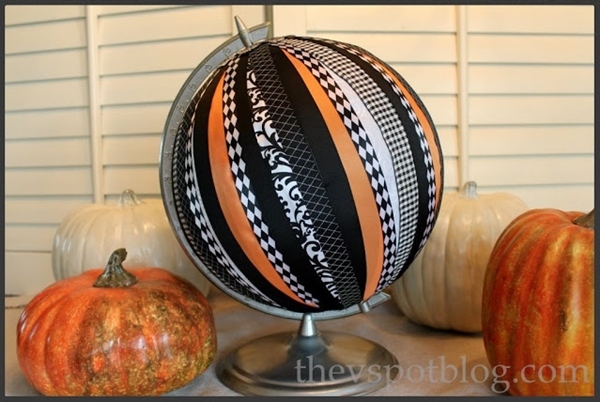 and turn the globe into a bowl. 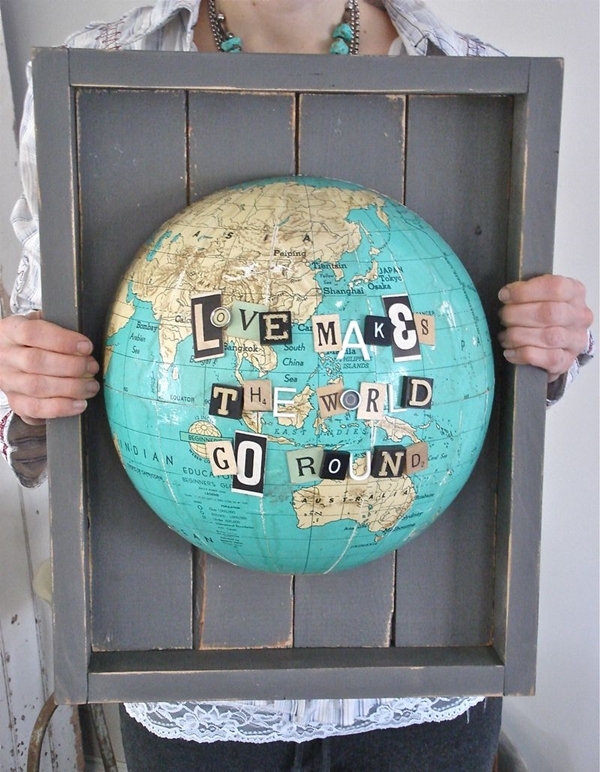 Oh, and don’t worry about how the globe will stay in one place rather than rolling around. An ashtray and some glue would fix that for you. Glue can do that and so much more. 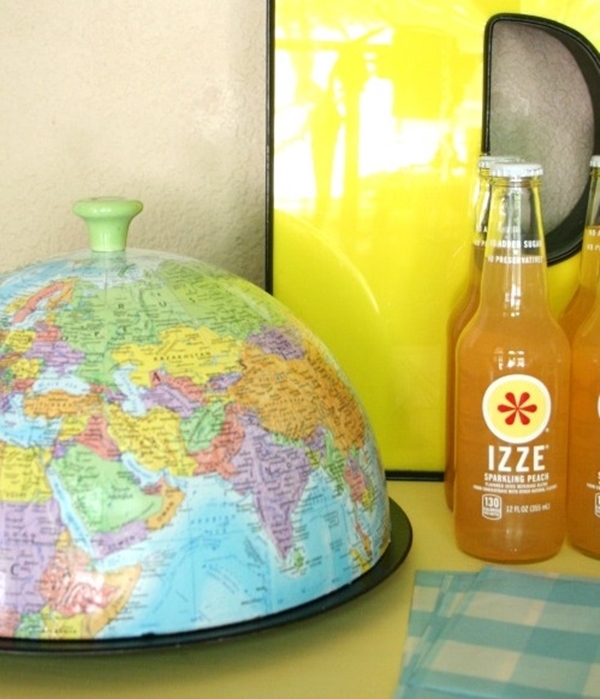 Now, that’s a really adorable way of using an old globe. 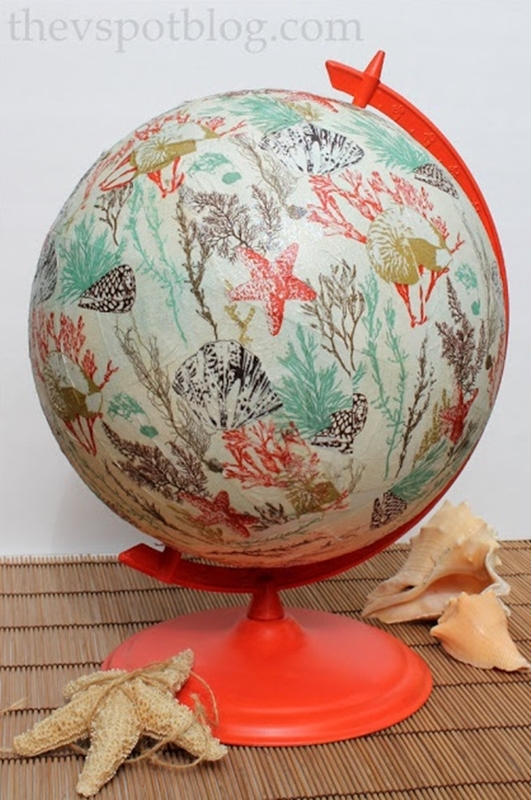 You just have to cut a small section of the globe, wide enough for an envelope and gotta do some pretty work on the remaining globe as shown here and that’s all. Don’t you just love when things turn like that in a few easy steps? I do! There’s just something mesmerizing when it comes to the fusion of black and gold. 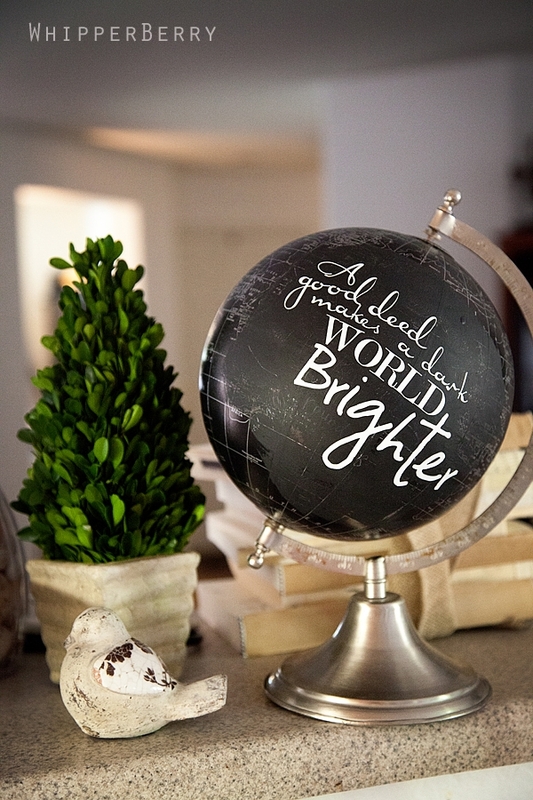 So, why not use this magical combination on your old dusty globe and turn it into a lovely home décor? 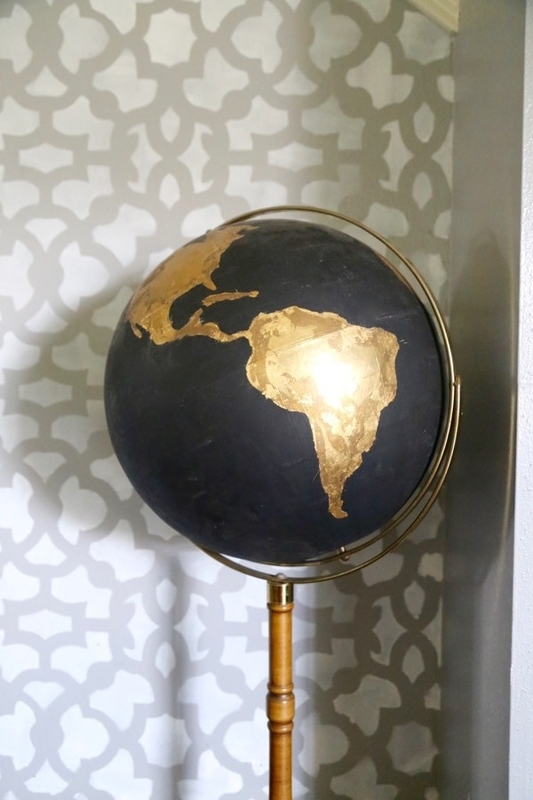 With some help of paint and gold leaf, you can easily add this piece of décor to your home. Got some pom-poms? 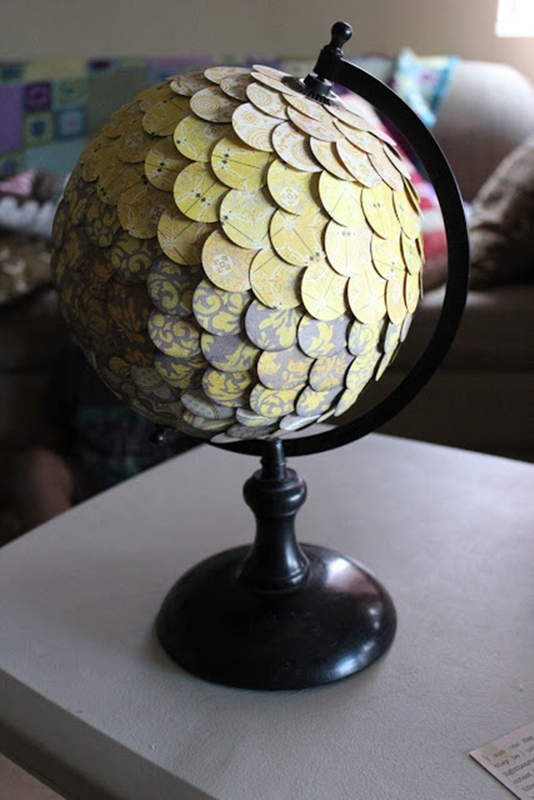 You can even use them and glue it to the globe. 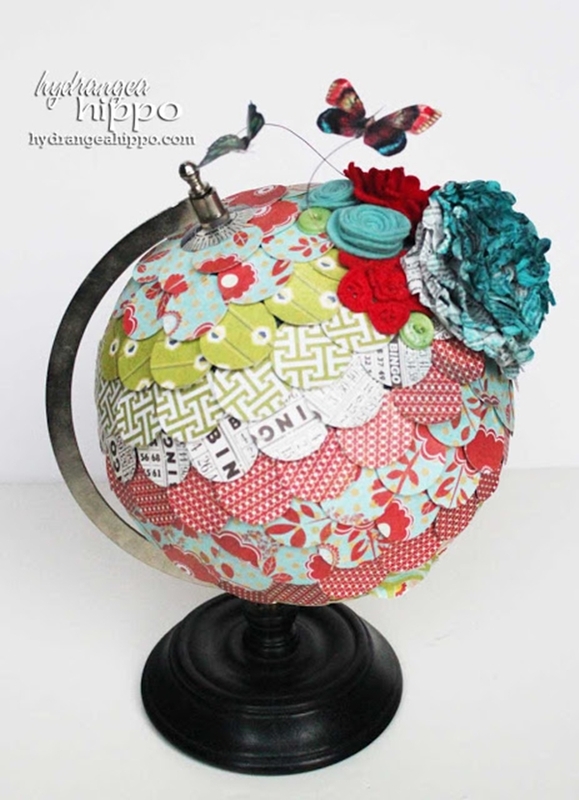 Or you can just make these adorable pom-poms. 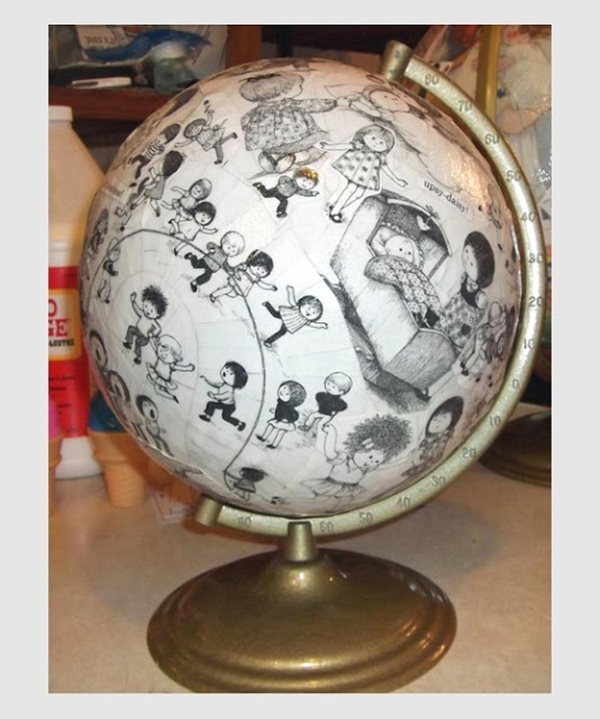 How would you feel if you can draw your own world on the globe? Sounds fun, isn’t it? 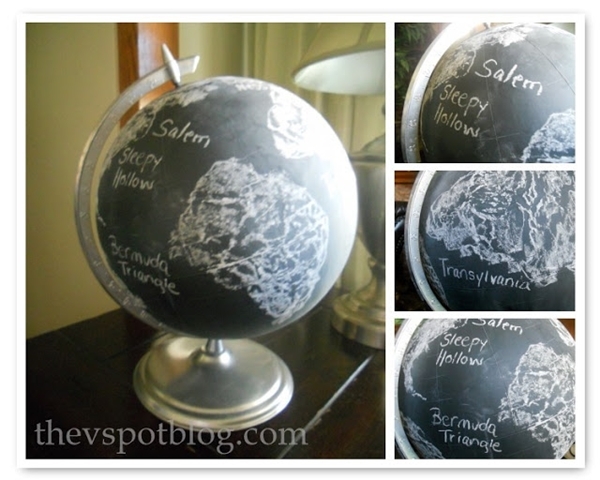 Turn your imaginary world into a real one with an old globe and some chalkboard paint. 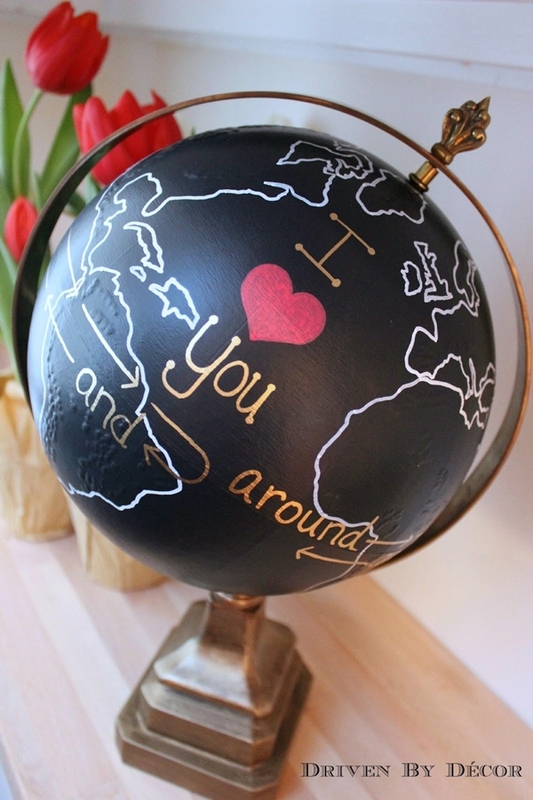 Splash the paint all over the globe and get ready with a chalk while it dries. Chalk reminds of plaster of Paris and its amazing uses. Just check this out to know more. You know what they say; the world is really small. 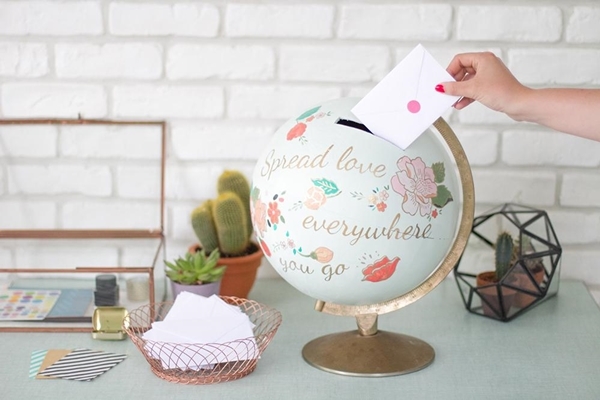 Turn your old globe into a lovely small world using some cute pictures and connecting them with cute little triangles like it’s shown here. Doesn’t it look just adorable? Show some craftsmanship using these amazing unusual chair designs. 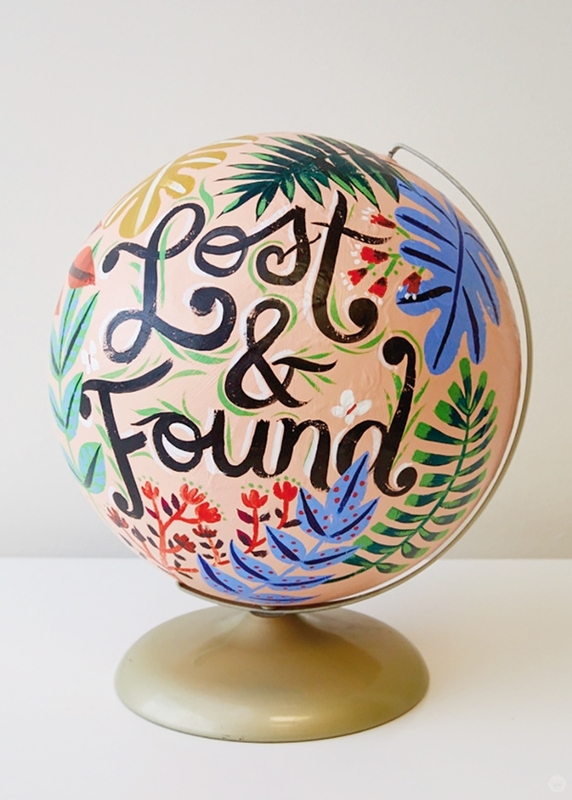 It’s always a great feeling to let your crafty mind run wild and turn some old stuff into a brand new one. 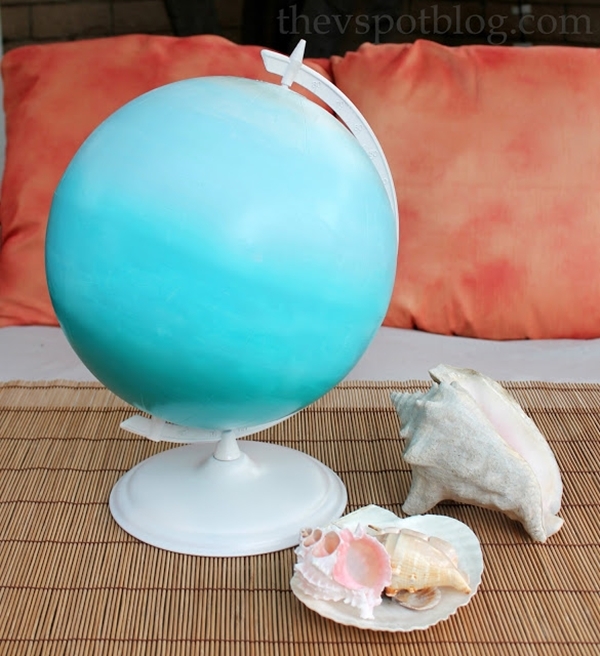 And a globe that you must be having in your garage for years and years lying around and wasting away. 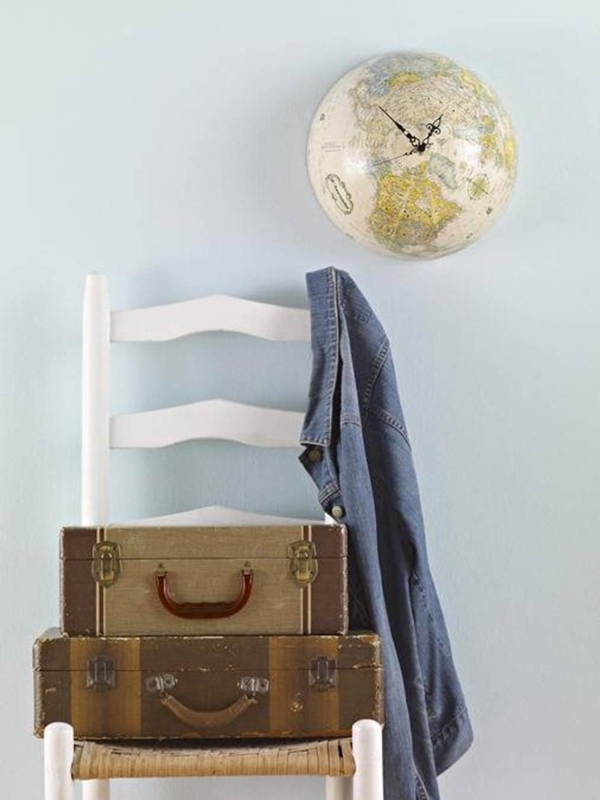 So don’t just throw it away and turn into a great item with these amazing ideas.